Warikoo is an expert on the relationships between education, racial and ethnic diversity, and cultural processes in schools and universities. Her most recent book, The Diversity Bargain: And Other Dilemmas of Race, Admissions, and Meritocracy at Elite Universities (University of Chicago Press, 2016), illuminates how undergraduates attending Ivy League universities and Oxford University conceptualize race and meritocracy. The book emphasizes the contradictions, moral conundrums, and tensions on campus related to affirmative action and diversity, and how these vary across racial and national lines. Warikoo teaches courses on racial inequality and the role of culture in K-12 and higher education. She serves as co-chair of the School Advisory Council of her children’s public elementary school in Cambridge, and has been actively involved in the political process in Cambridge. Prior to her academic career, Warikoo was a teacher in New York City’s public schools for four years, spent time working at the U.S. Department of Education, and served as a fellow with the Teachers Network Leadership Institute. Archive - Who is Affirmative Action for? "How Elite Schools Stay So White," Natasha Warikoo (with Nadirah Farah Foley), The New York Times, July 24, 2018. "White House Withdraws Obama-Era Guidance For Colleges On Upping Diversity In Admissions," Natasha Warikoo, Interview with Bob Oakes, WBUR, July 5, 2018. Natasha Warikoo quoted in Huseein Kesvani, "Priti Patel's Rejection of 'BME' is Far More Dangerous Than the Term Itself" The Wire, March 21, 2018. "You're Not Going to Get Accepted into a Top University on Merit Alone," Natasha Warikoo, The Conversation, December 13, 2017. Natasha Warikoo quoted on the diversity bargain in Kelefa Sanneh, "The Limits of 'Diversity'" The New Yorker, October 9, 2017. "How Conservative Activists are Using Asian Americans to Argue against Affirmative Action," Natasha Warikoo, PBS Newshour, October 3, 2017. Natasha Warikoo quoted in Shawn Bodden and Meghna Chakrabarti, "'The Diversity Bargain': How Students View Affirmative Action" WBUR: Radio Boston, September 20, 2017. "Centering on ‘Diversity’ Ignores the Real Focus of Affirmative Action," Natasha Warikoo, The Boston Globe, August 2, 2017. "Inherent Flaws," Natasha Warikoo, Inside Higher Education, May 15, 2017. Interview on diversity on college campusesNatasha Warikoo, Huffington Post, March 30, 2017. Natasha Warikoo's research on a 'diversity bargain' discussed in Rose Courteau, "The Problem with How Higher Education Treats Diversity," The Atlantic, October 28, 2016. "Who is Affirmative Action For?," Natasha Warikoo, Boston Globe , June 23, 2016. Natasha Warikoo quoted on race and education in Kirk Carapezza, "Black College Students Major in Fields That Offer Lower Economic Payoffs, Study Finds" WGBH News , February 18, 2016. Natasha Warikoo quoted on disparities in school in Alex Dobuzinskis, "U.S. Study Finds Teacher Bias in Discipline toward Black Students" Reuters, April 15, 2015. Guest to discuss her research on elite university admissions on BBC Radio 4 , Natasha Warikoo, October 14, 2013. Natasha Warikoo quoted on meritocracy in higher education in Jack Grove, "Oxford Students Deny Role of Class in Elite Admissions" Times Higher Education, August 22, 2013. 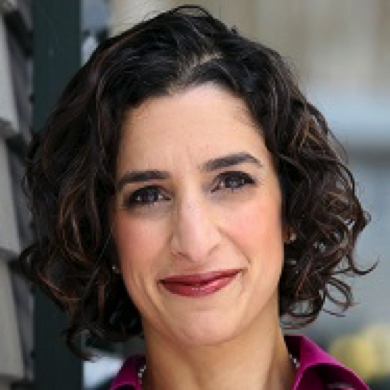 Natasha Warikoo quoted on merit-based admissions, "Harvard Professor Saw Danger of Dysfunctional ‘Meritocracy’ in Affirmative Action Case" MPR News , June 23, 2013. "Who Gets Admitted to College?," Natasha Warikoo, Los Angeles Times, June 20, 2013. Natasha Warikoo quoted on immigration assimulation in Sewell Chan, "Hindu Priest from Guyana is Mourned in Queens" New York Times , June 18, 2009. "Two Schools, Worlds Apart: Lessons from London on How Small Schools Help Foster Racial Integration," Natasha Warikoo, Education Week, April 11, 2006. "In a Teenage Waistland, Fitting In," Natasha Warikoo, July 31, 2005. Natasha Warikoo quoted on racial data in higher education in Joseph Berger , "Indian, Twice Removed" New York Times , December 17, 2004. The Diversity Bargain: And Other Dilemmas of Race, Admissions, and Meritocracy at Elite Universities (University of Chicago Press, 2016). Highlights the implications of affirmative action’s legal defense of “diversity” for undergraduate students’ understandings of race and fairness in college admissions. Demonstrates how elite universities shape their students’ conceptions of race and meritocracy. Compares Ivy League and Oxford students and students of different racial identities. "Colorblindness and Diversity: Race Frames and Their Consequences for White Undergraduates at Elite US Universities" (with Janine de Novais). Ethnic and Racial Studies 38, no. 6 (2015): 860-876. Analyzes the ways that white students at Ivy League universities think about race, and the implications of the color-blind, diversity, and power analysis perspectives for race relations on campus and student views of affirmative action. "Beyond the Numbers: Institutional Influences on Experiences with Diversity on Elite College Campuses" (with Sherry Deckman). Sociological Forum 29, no. 4 (2014): 959-981. Analyzes how two Ivy League campuses shape students’ understandings of the role of race in society. Presents how one campus develops a deep understanding of race in US history for students involved in campus programming on diversity, alienating many white students, while the other emphasizes integration, providing little depth to students’ understanding of racial inequality but bringing students together across lines of difference. "Legitimating Status: Perceptions of Meritocracy and Inequality among Undergraduates at an Elite British University" (with Christina Fuhr). British Education Research Journal 40, no. 4 (2014): 699-717. Demonstrates how white students at Oxford University maintain the legitimacy of their status by ignoring the social inequality that leads to the lack of diversity—both by class and by race—on the Oxford campus. Discusses how students express deep faith in the supposedly meritocratic system of admissions, despite the significant underrepresentation of black and working class students on campus. Balancing Acts: Youth Culture in the Global City (University of California Press, 2011). Presents an ethnography of two high schools, one in New York City and one in London, demonstrating that children of diverse family backgrounds attending low-performing urban schools struggle to meet two goals which sometimes come into conflict despite their best intentions: a desire for peer status, and a desire to do well in school. Shows that most children want to do well in school and care deeply about it, even while their behaviors may not reflect those desires, and provides more convincing explanations for behaviors that seem to belie their academic goals.